Hello you lovely lot, I hope you are all well. Today I thought I'd share with you some more products I've used up. The products featured have been collected since my last empties bonanza which I do believe was almost 2/3 months ago now so there are quite a few. I really enjoy doing these because I am desperately trying to size down my collection considerably. I haven't added to my collection in a long while unless I completely ran out of whatever type of product it was so I'm really proud of myself for that. Not going to lie, as I'm not on a project pan any more I think it's extra impressive; especially with the temptations of Christmas gift sets and offers. 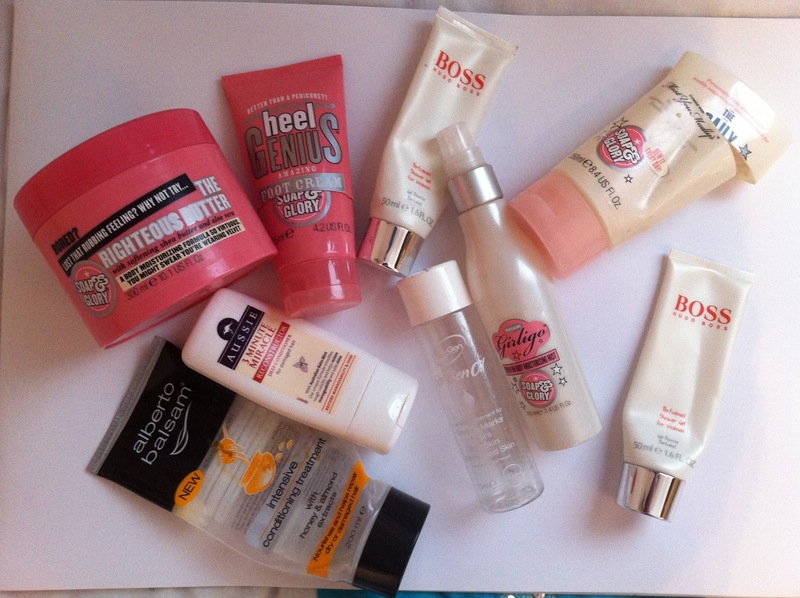 The first lot are bath/ shower/ body items and again they are mostly Soap and Glory. I really regret buying all of the gift sets last Christmas as I still have tonnes left over and have stopped enjoying using them. The scents are a big turn off. I used to love the original Soap and Glory scent but I now cannot stand it and as for their Mist You Madly one... Two words... Old lady. Great products for moisturising and soft skin but scent wise I am not a fan. However, these are just my personal opinion and if you love them then that's great. I do think Girligo is worth a mention for being the most pointless product of all. Is it a body mist or a moisture spray.. I don't know. But I do know I do not like it. It's really done nothing for me at all and I am so glad to be done with it. Shame I still have a full size to go through. Soap and Glory aside, I have used up two deeply fabulous conditioning treatments. The first is a mini of the Aussie 3 Minute Miracle which I adored; it smells amazing and left my hair so soft and shiny - BIG thumbs up and I would recommend everyone tries it at least once. Next is a budget treatment by Alberto Balsam which I have purchased over and over. I love it and will continue to purchase it and recommend it until the day they stop making it. I couldn't be without this somewhere in my bathroom. Lastly are the Boss Orange shower gels and the Regen Oil. The latter I loved as it did an amazing job of fixing my scars and stretch marks and didn't cost the earth, while the shower gels did the job but I wouldn't go out of my way to buy them. Next up are my skincare/ make-up and bathroom empties. 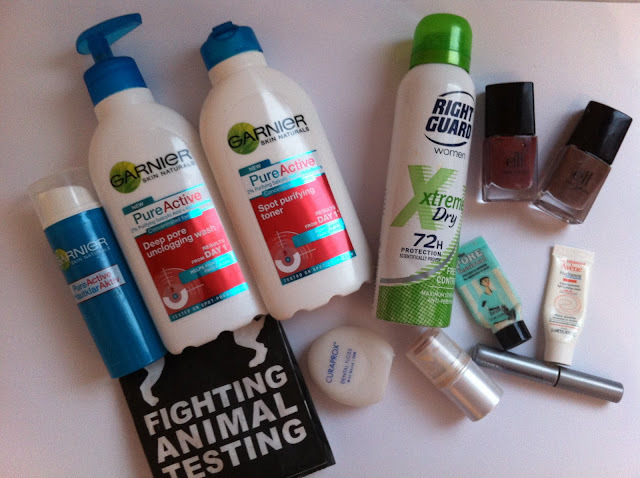 For those of you who are familiar with my blog, you'll know that I purchased the Garnier Pure Active range in an attempt to combat my blackheads and oiliness. Now I've finally finished them all up I can say that they do not at all live up to their wild claims. They didn't break me out and kept my oiliness under control, but I didn't see any of the improvements they claimed were clinically proven. My skin isn't any worse but it never got better either; consequently I would never repurchase, nor would I recommend. They are no better than a basic cleanser, toner and moisturiser. So the quest continues and I'm hoping that some of you lovelies might have suggestions. The Right Guard deodorant is my all time favourite and the only one that really works for me. I love it, but sometimes find it difficult to find this particular one so I'm trying something new out at the moment. Needless to say, I would highly recommend this one and will repurchase at some point in the near future. Onto the exciting bit - MAKEUP... I don't really go through this very fast at all so when I have a few bits it's always a good day. First up is a sample of Benefit's Porefessional which I have been using for what feels like months. It's only a 7ml sample but it has lasted my absolutely ages. It's the best primer I have ever tried and I would repurchase in a heartbeat. Yes the price may seem a tad steep, but it lasts so long that it works out really well in the long run. It's love. Next is a Clinique travel mascara which I technically didn't finish up.. sorry for cheating a little. The reason I didn't finish this up but chucked it out is because it was getting pretty gross at the top of the tube. It's their curling mascara which has a curved wand. However due to the tiny size of the tube and the much larger curled wand, product used to bubble out everywhere. It was just disgusting so it's gone. Even when I did use it I hated it. It was a really wet formula and took what felt like an age to dry which is never ideal. I wouldn't repurchase nor would I recommend - sorry Clinique. My reasoning for the nail polishes going follows a similar line of argument. They had separated and were looking a tad gross so out they went. They were only E.L.F so I wasn't too bothered. Overally, I wouldn't rate them. They chipped like crazy and they went on really poorly. Nice for the price but not something I'd suggest. Another E.L.F product I binned was their All Over Cover Stick. I really rate this product. It covered my blemishes and redness really well and was really creamy and blendable. For the tiny price they're fabulous. Lucky for me, I have a backup. The Lush packet you can see used to contain a Party Popper bath bomb. I bought it as a 21st treat for myself and I hated it. The smell and the effects were really nothing special so I was really disappointed with this one. I knew I should have stuck with Twilight. I wouldn't recommend this one and if you are curious have a sniff in store first. I used up a sample of an Avene moisturiser. It smelled amazing; their line has the most divine scent and I would repurchase it just for the smell. In terms of the way it worked, it sunk in really quickly BUT my skin didn't feel as hydrated and comfortable as it would normally. I would recommend it, but I think I would only use it during the summer months personally. The line in general is lovely and well worth checking out at Boots. Dental floss... I'm not loyal to any particular brand. This one does the job but I couldn't really tell you which one did a better job so take your pick really. However I do recommend flossing itself to get lovely looking teeth. The next things I'm not really sure what the etiquette is - to include or not to include...? They are 3 lovely candles from the Primark Home range and they have served me well. The two jars are Boughs of Holly and Vanilla Bean and they smelt divine and the scent surprisingly filled my whole room. The tin in the middle was Cinnamon Clove which was my favourite of the lot; if Christmas were a candle, it would be this candle. They are easy on the purse strings; smell divine; last for ages and after they're done you've got some lovely containers to reuse. Lovely. 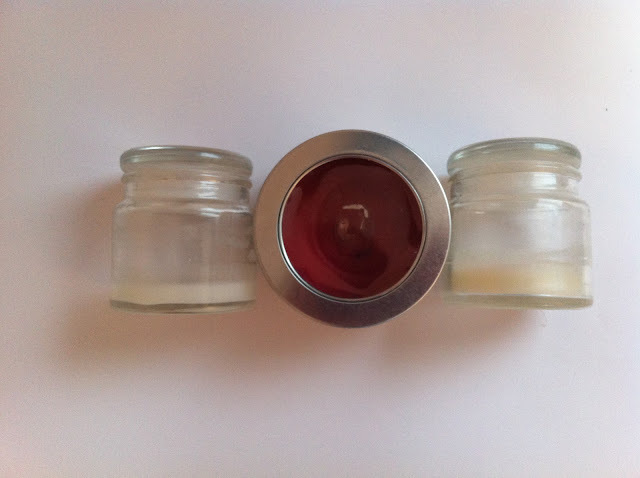 So how do we feel about candles being classed as empties? Let me know. What have you guys been getting through lately? I'm always keen to know so feel free to share links etc below..